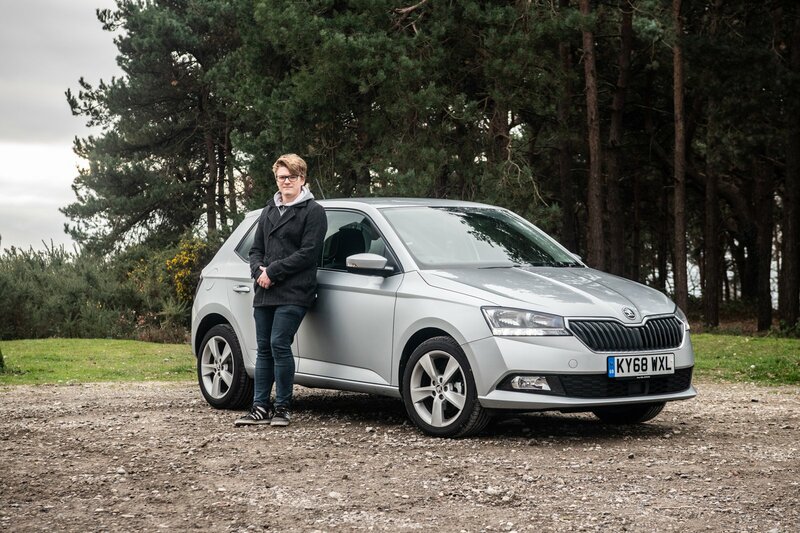 Skoda Fabia long-term test review | What Car? The most significant thing about the Skoda Fabia I have just taken delivery of is named the PQ26. This is not the code for some tax paperwork (phew), but the name of the Volkswagen Group platform on which the third-generation small hatchback is based. But in early 2017, the new MQB platform, which had already lived up to the “strategic weapon” tag given to it by the Volkswagen Group’s head of research and development through the brilliance of cars such as the Audi A3, Seat Ateca, Skoda Octavia and Volkswagen Golf, was applied to a small hatchback for the first time – and this, the new Seat Ibiza, duly knocked the Fabia from its perch. Not long after, it was joined by the equally brilliant new Volkswagen Polo and Audi A1. The Fabia, meanwhile, will be left out in the cold until the fourth-generation model arrives in 2022. For now, a facelift will have to suffice. This constitutes minor styling updates, some more standard kit (including new active safety systems), more options and a refreshed interior design. The engine options have also been changed, with the diesels discontinued, the entry-level petrol getting a 25% power increase and the turbocharged petrols gaining particulate filters – as used on diesels for some years now – to reduce emissions. To see if this is enough to keep the Fabia in contention against its new stablemates and a number of competitive new rivals, I’ll be running one for the next four months. 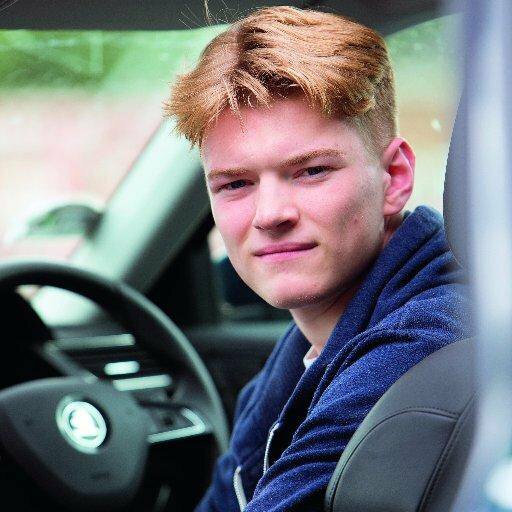 My car has our favourite engine, the 94bhp version of the three-cylinder 1.0-litre TSI, which comes as standard with a five-speed manual gearbox. It may not sound like much, but it’s certainly enough, even for someone who pretty much lives on the motorway, as I had already found with the Seat Arona I ran last year. However, we’ve strayed from ultimate rationality and upgraded the Fabia’s trim level from SE to SE L, primarily for the benefit of cruise and climate control. Fortunately, it’s not the infuriating adaptive kind (although it can be for an extra £235). It being January, when I’m forced out of bed each morning before the sun has risen, I also insisted on the Winter Package, which adds heated washer nozzles and heated seats to the standard heated door mirrors. 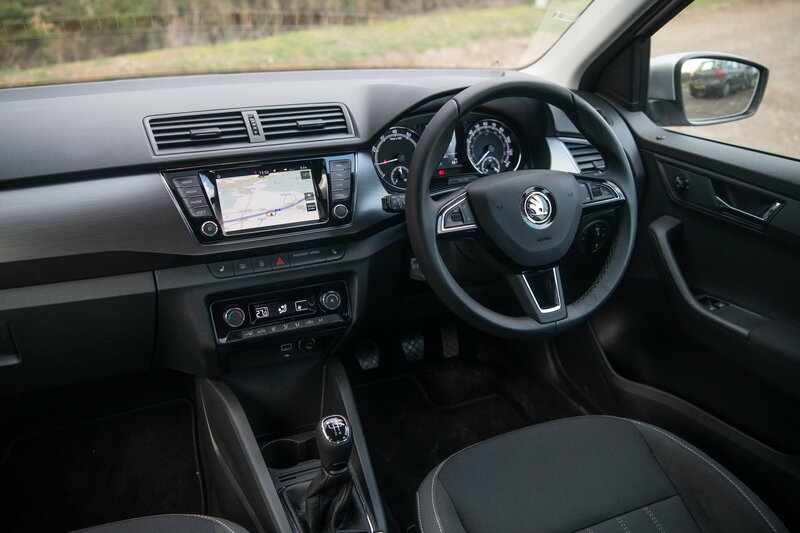 Inside, my Fabia has smart Satin black cloth and ‘microsuedia’ two-tone cloth upholstery and a brushed faux-metal grey dashboard insert that houses a 6.5in touchscreen infotainment system. On lower trims, you get a system named Radio Swing, but SE L features the Amundsen, which is a rather lovely way of saying it has sat-nav. Also present are Bluetooth, a DAB radio, a USB connection and smartphone mirroring for Apple and Android devices. That’s all I need to keep me happy. Oddly, SE L is the only trim level that gets you keyless start as standard, as well as a central armrest, although the latter will remain forever tucked away, because I immediately discovered that it blocks my hand’s path to the gearlever. 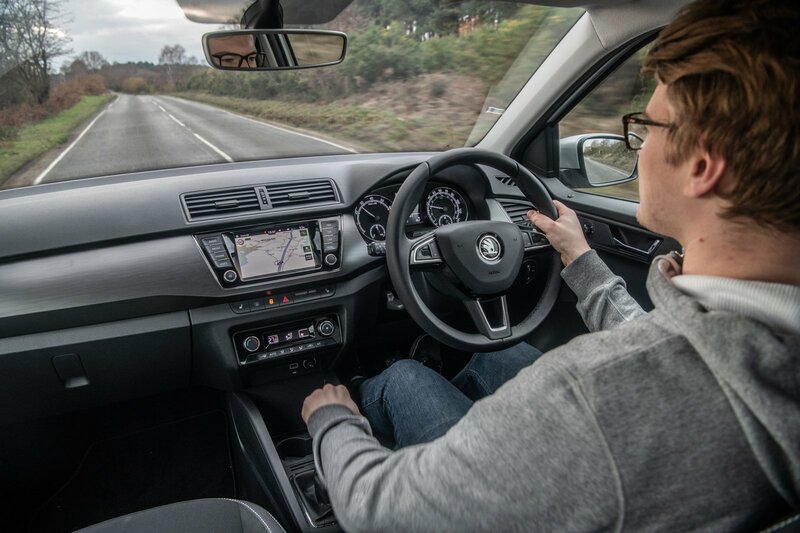 Every now and then, I also need to face the misery of driving around busy cities – a task that, if anything, the Fabia should be most adept at – and transport half the contents of my girlfriend’s flat when she comes home from university. Added to that, there will be the odd road trip with my friends, given that only one of them can drive and I really don’t fancy being one of his passengers (no offence and all that). Good job, then, that the Fabia has a big boot (sufficient for five carry-on suitcases) and plenty of room for rear passengers. All in all, that’s a pretty little lot for £17,625. Is it competitive enough to remain the right small car for the buyer with his or her head screwed on straight, though? It hardly seems a far-fetched suggestion, so let's see.